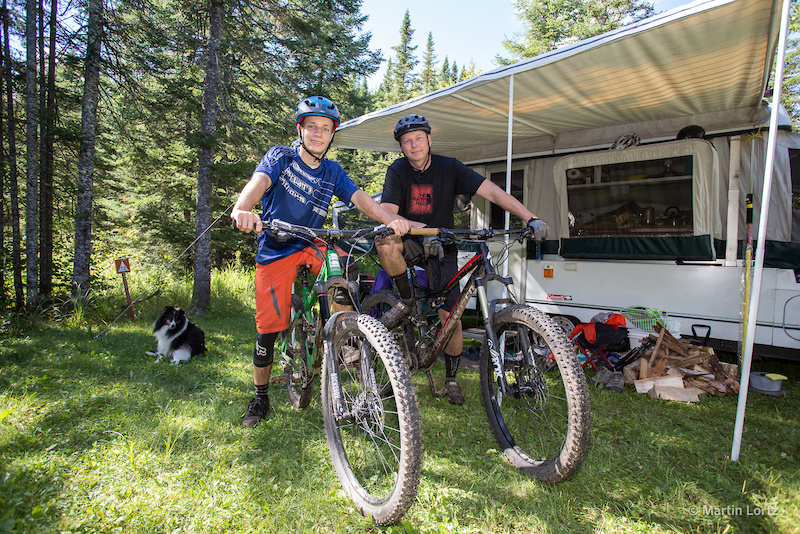 We are now more than a week into our Quebec mountain bike adventure and Sentiers du Moulin has occupied the top ranks of our anticipation all along, so why the sudden distraction as we step into the office? I can see potential for a two-fold explanation. First involves my bike which I like to refer to as vintage, it’s still rolling on 26” wheels and sporting a 1 1/8” straight steerer tube. Don’t get me wrong, love that bike, it has brought me much happiness but I have been battling some modern-day curious thoughts and fantasizing about throwing a leg over today’s latest greatest. So seeing that XL size Specialized Stumpjumper 6Fattie sitting there, damn, must be fate. Distraction number two involves the internet. During the trip’s planning stage we stumbled upon Sentiers du Moulin’s pot of gold of exposure, text, photo, and video. While all the info did sell us on the destination, it did leave us with a ‘we know exactly what to expect to feel’, which perhaps dulled the edge of our let’s ride enthusiasm. Ok, now I’m itching to get this ride started but first thing first, got to set up house. There is camping on site, first impression, rustic. 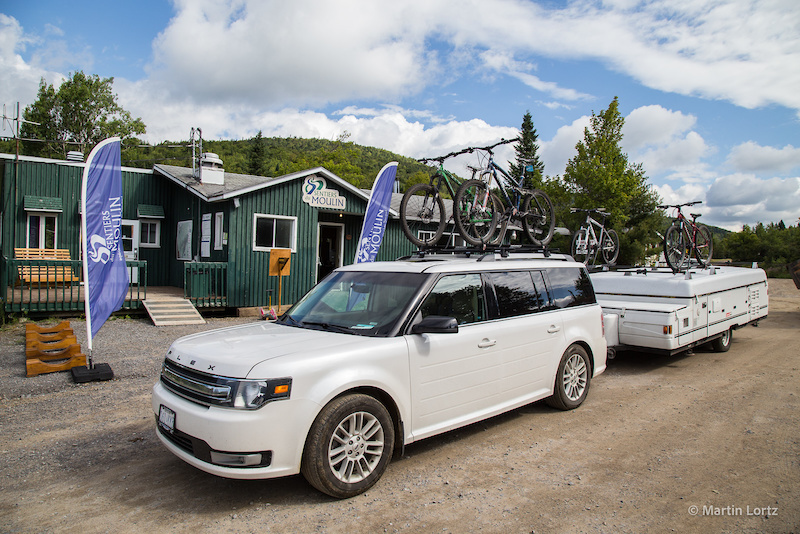 Coming from three nights of full service camping at Mont-Sainte-Anne, our expectations might be a bit skewed. In reality, sure there are no hookups, power, water, none of the luxuries, but we get a back country vibe, no neighbours and the trail head is a stone throw away for $26 a night, awesome. Finally, time to hit the trail. There is one negative to living at the trail head where all the trails point up the hill and it’s the challenge of taking your heart rate from rest to max in the first thirty seconds of a one hour climb. 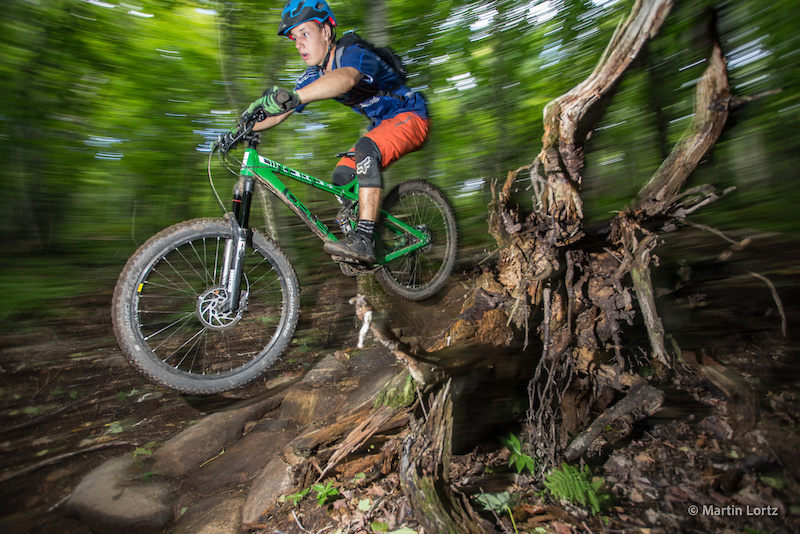 The Stumpy lunges forward and up with every crank of the pedals. It might be the plus tires, modern geometry or heightened exuberance, whatever the reason the traction I am putting to the ground is amazing; I even pass and pull away from my youthful riding companion, something that never happens! The race to the top is short lived as my not so modern aerobic threshold brings me down to reality. Still, the steady one-hour upward grind aboard my borrowed steed is surprisingly pleasant. Decision time, Leon, Lb-cycle, Lb-2, Super G all spill off the top in a different direction. Leon by the numbers promises the longest run and then the shortest grind back to the top, sounds good. 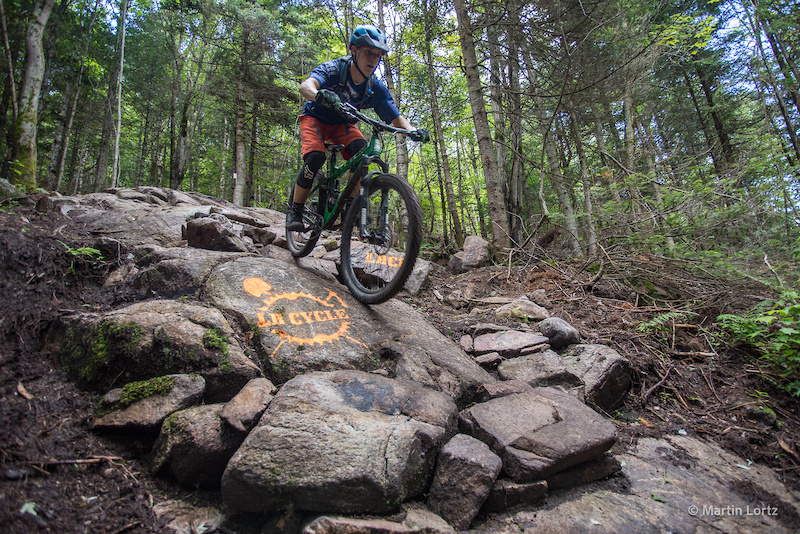 Rocks, rocks everywhere you point your wheel, rocks, we quickly learn what riding Sentiers du Moulin is all about, yes rocks. I can't imagine the amount of work that went into plotting and shaping this ribbon of stone. My rental ride has me grappling with my mental safety barriers. Situations where my personal bike struggles, the stump jumper handles with ease. I let it go and it surprises me with its ability and rewards me with a rush of adrenaline that keeps me fuelled all the way back to the top. Lb-cycle is next, more of the same but steeper. There has been a lot of rain over the past couple of days leaving everything with an icy sheen. In this case, looks are deceiving, the rocks here offer traction like a cheese grader, confidence inspiring but not kind to your tires. One more lap, the gravity assisted good times here might be getting all the hype but with 20km of up to 4,5km of down at Sentiers du Moulin you definitely have to work for your rewards. When the idea for this trip presented itself it was an easy, yes. Surprisingly the decision had very little to do with the area’s mountain biking potential but very much to do with the opportunity to visit what I consider the coolest city in the country, and from our camping spot at Sentiers du Moulin that opportunity is a mere 20 min drive away. Quebec City has always been a personal favourite and the possibility to rip awesome trails by day and walk its historic cobblestone streets by night, so cool. In the morning there was just enough time for one more lap. We keep it casual with a quick blast down Super G then it’s time to return the stumpy, pack up the house and hit the road. As a destination, Sentiers du Moulin checks off all the boxes. 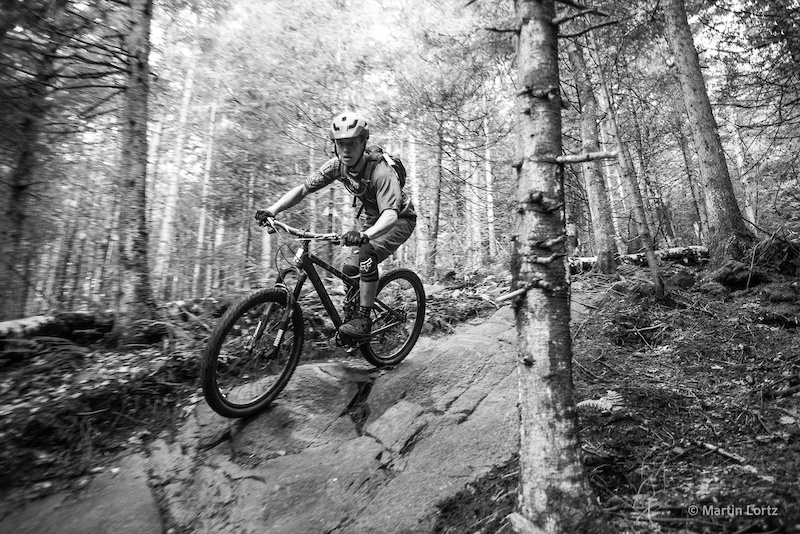 A mellow vibe, awesome trails and one of Canada’s coolest cities just down the road. By the sounds of it, things are looking to get even better. 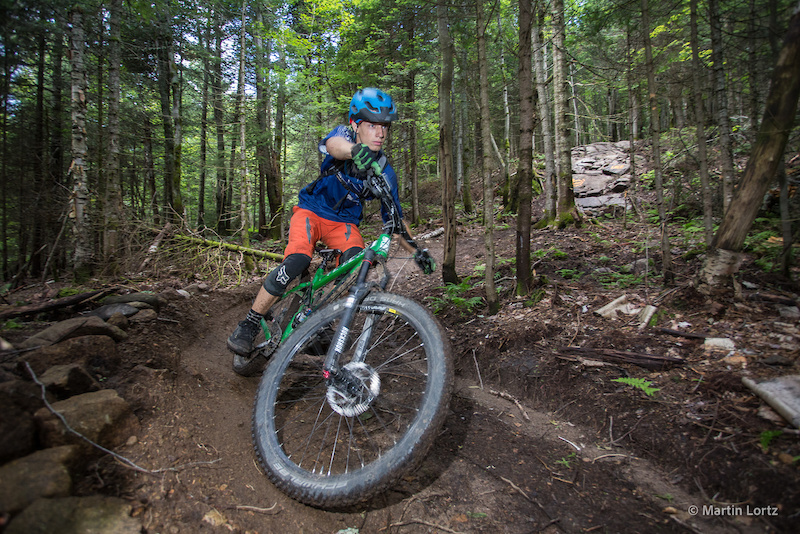 Three new trails are already in the works as is a more direct path to the top, a mountain top deck to chill on and there is even talk of a shuttle. Oh ya, did I mention that their rental bikes are pretty sweet, miss you stumpy. 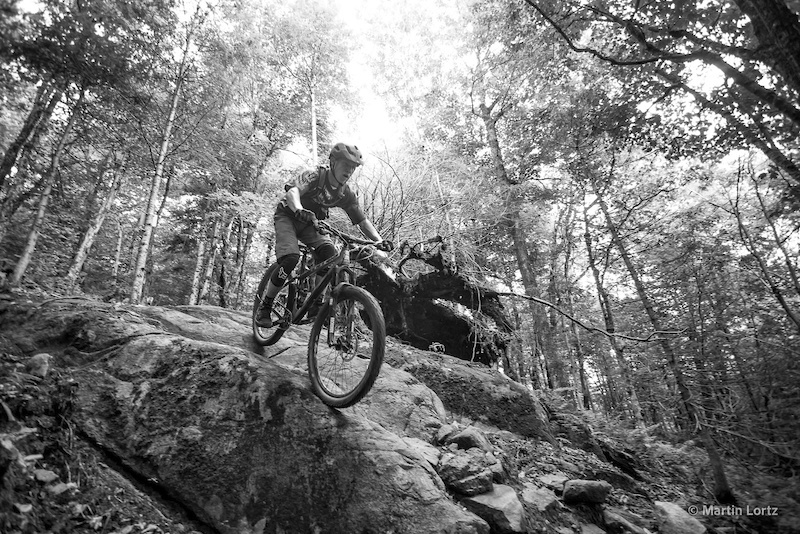 As a Québecer, I'm often amazed by how cool and better trails around the world seem to be...After reading this article, I realize that we forget how nice and how lucky we are to ride in a place like Quebec! As they say: grass is always greener on the other side of the fence! But, isn't always the case after all... Great article by the way. Thanks to share! Yes, plenty of green grass in Quebec, you are a lucky bunch. Glad you liked the article, thank you. 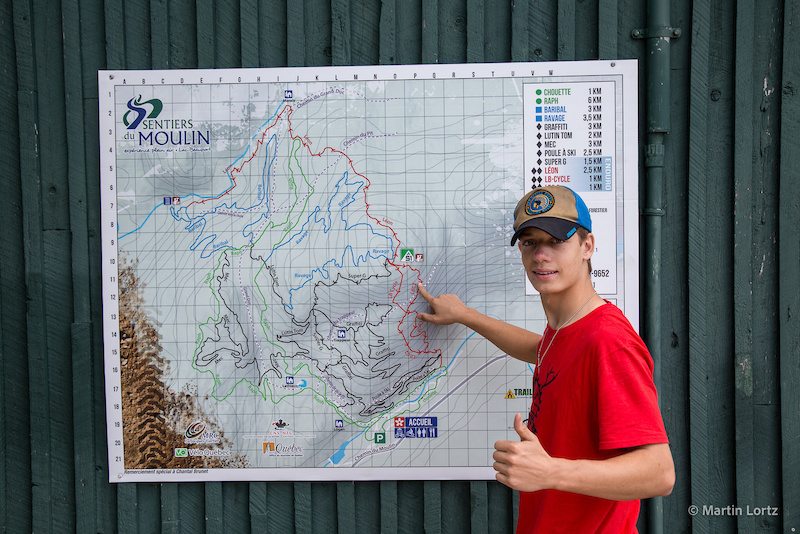 All the press we've seen lately about sentier du moulin and vallée bras du nord is impressive. shame on me i never went and don't live that far. Thanks for the article ! Merci pour l'article ;-) !!! Non il y a encore de la neige ?! My pleasure, looking forward to trying the new trails. We hope to open on May 20th. I'm close and spoiled by the chairlift at Bromont. Will need to try out Sentiers du Moulin this summer. Looks like a cool place to ride, I am definitely adding it to the list and marking this article for future reference. I went to VBN last summer and had a blast. Quebec is awesome in almost every way. I can't wait to go back. 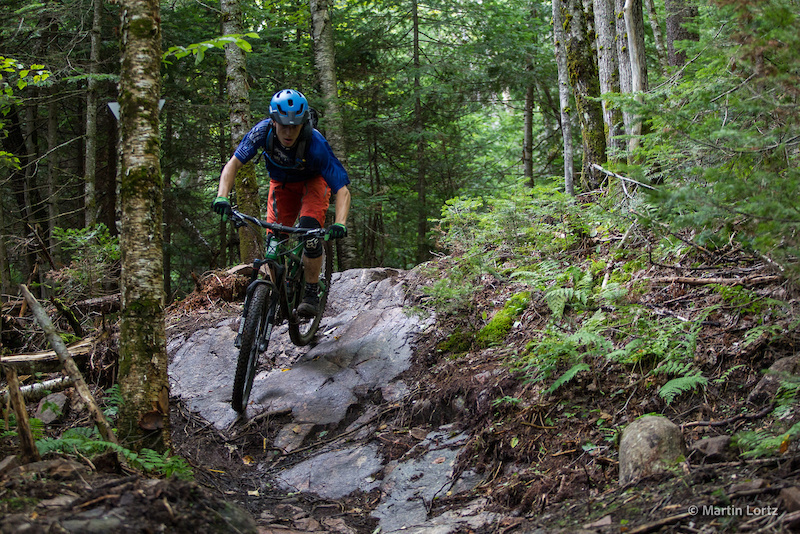 by far my favorite trail network in the Quebec city area! Best ridden on an all montain rig! Looks like a great trail. Dig your son's Opus, what model is that? That's the Opus Nelson 3.0 unfortunately no longer manufacture. No English version of the website?